It was April 9. It's now April 13. This post relates to the 2014 bloom. You can find the latest information peak bloom forecasts here. With March having been colder than they expected, they've now pushed back their prediction to April 13 (or, as they now put it: "between April 11 and April 15, centered on April 13"). You can find their discussion of the weather data that have gone into this revision, along with their proposals for what the probability ranges are, here. 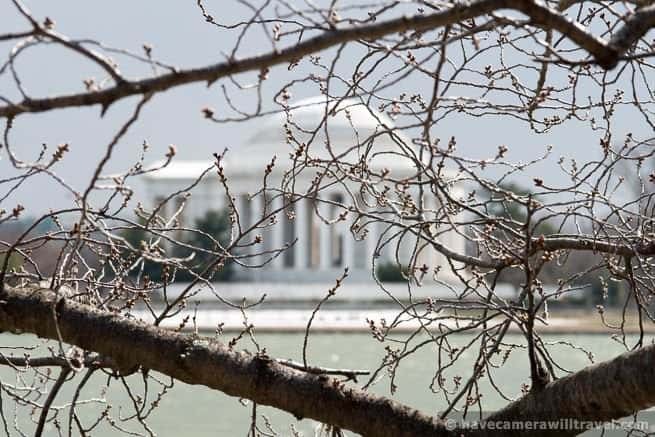 And you can see photos of how the trees looked yesterday on the March 26 Cherry Blossom Watch Update.